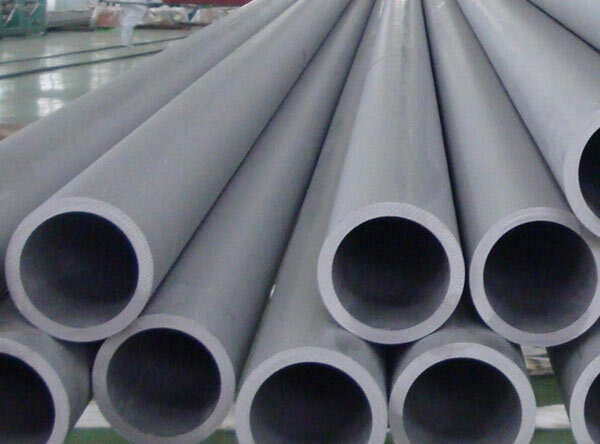 Monel Alloy K500 Pipe Supplier, Monel K500 ASTM B165 Seamless Pipes, Monel K500 Welded Tubes, Alloy K500 Welded Pipes, Monel Alloy UNS N05500 Seamless Pipe, Monel K500 Seamless Tubing, DIN 2.4375 Hydraulic Tubes, Monel K500 Polished Pipes Manufacturer, Supplier, Exporter, Mumbai, India. ASTM B 163 Round Pipes Manufacturer, DIN 2.4375 Hydraulic Tubes, Monel K500 Polished Pipes Exporter. As a much-admired organization in the market, we as Calico Metal Ind Pvt Ltd are quite engaged in proposing a collection of Monel K500 Pipes and Tubes as an exporter, manufacturer, supplier, and stockiest to our worldwide clients at reasonably priced costs. Also referred as UNS N04405 Pipes and Tubes, it is resistant to corrosion and acids, and some alloys can withstand a fire in pure oxygen. It is commonly used in applications with highly corrosive conditions. As an extremely valued organization in the business area, we as Calico Metal Ind Pvt Ltd are very engaged with proposing a gathering of Monel K500 Pipes and Tubes as an exporter, maker, supplier, and manufacturer to our overall customers at cost-effective prices. These monel 400/K500 is also known as UNS N04400/N05500 pipes and tubes used in various applications. As compare to Steel, Monel is extremely deifficult to machine as it work-solidifies quickly. It ought to be turned and worked at moderate speeds and low reinforce rates. Monel K500 pipes and tubes are available in various sizes and thicknesses acording to the exact necessities given by our essential customers in overall nature of standards. These Monel 400 Pipes are occupied for warmth exchanger piping, process vessels, and storage tanks of gasoline and potable water in the marine sector and Monel K500 Pipes has an extremely greater dimensional steadiness. Monel 400/K500 seamless and welded pipe & tube are available in various size (½”NB – 24”NB) and standard such as ASTM/ ASME B/ SB 161, 163, 165, 725, 775. Contrasted with steel, Monel is extremely hard to machine as it work-solidifies rapidly. It should be turned and worked at moderate speeds and low bolster rates. In the interim, we also offer these Monel Alloy 400/K500 pipes and tubes in redid thicknesses and sizes according to the exact necessities given by our important clients in worldwide nature of principles. Sulfuric acid and hydrofluoric acid alkylation plants..